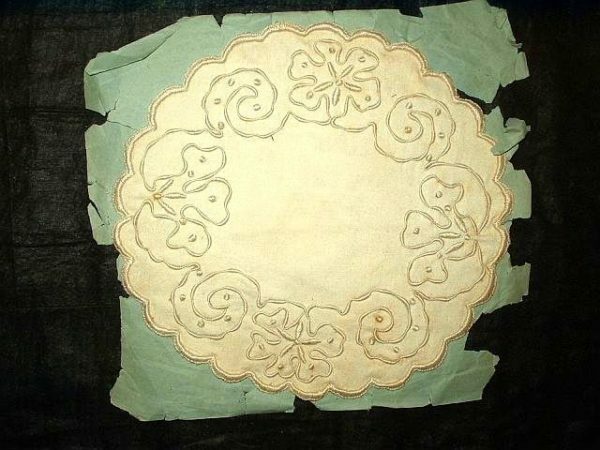 A lovely handmade doily from the late Victorian or early 1900’s still mounted on the paper & never used. The doily is of coronation braid hand applied to the linen round. Embroidered satin stitch edge are the center of flowers.